Imagine doing this while also whipping your 1.6m (5 feet) wig around. Someone recently uploaded the DVD behind the scenes for the Zhang Jizhong version of The Return of the Condor Heroes here and people are once more struck by how well the choreography and its execution by Liu Yifei fit the character of its lead Xiaolongnv. XiaoLongNv’s sashes are probably right up there with Yang Liping’s ““Nine Yin Skeleton Claw 九阴白骨爪“ as my top two Jin Yong choreographies that are both beautiful and perfectly reflect their characters. In the book, Xiaolongnv’s fighting style is described as “a fairy or angel dancing”. Action directors Zhao Jian and Lin Feng worked to achieve this by combining elements of dance with martial arts. In designing her signature white sashes, the choreographers borrowed heavily from water sleeves of Chinese dance. While she only used white sashes a few times in the novel, her sashes become prominent here to emphasize her etherealness. In designing her signature white sashes, the choreographers borrowed heavily from water sleeves of Chinese dance. While she only used white sashes a few times in the novel, this became her main weapon here to emphasize her etherealness. Seriously I’ve seen like fifty romance novels with an illustrated cover that looks just like this but not as pretty. Actress Liu Yifei reminds you why no matter how many bad movies she makes, she is still the prototype for like half of all Chinese romance novels. Here are two sets of photos for a series of Tissot events. Images from her weibo and 壁纸控ins @Weibo. The actress hasn’t had any new projects since finishing up Records of Nanyan Studio and Disney’s Mulan. Hey Marvel, she would be perfect for a superhero role in, say, The Eternals by Chloe Zhao or Shang-Chi. A flashback to the cutest Liu Yifei as Xiaolongnv in the 2006 version of the Return of the Condor Heroes. A flashback series of photos of Liu Yifei on horseback as Xiaolongnv in The Return of the Condor Heroes. 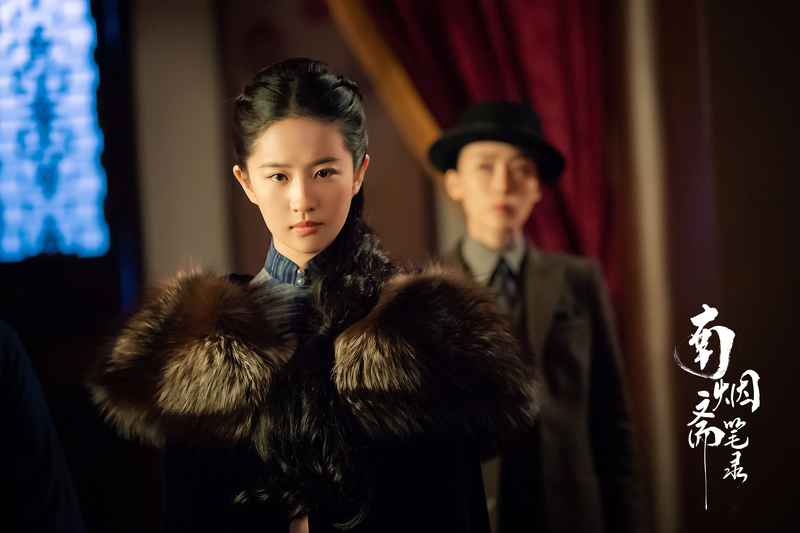 The trailer for supernatural Republican romance drama The Love of Hypnosis (previously Records of Nanyan Studio) features Liu Yifei as a mysterious perfume shop owner with a split personality. There’s the normal Lu Mansheng, and then there’s the second persona Ye Moluo, who seems to gain the upper hand in the latter half of the series, and has a love-hate relationship with male lead Ye Shen (Jing Boran). Did anyone count how many kiss scenes they had? Let’s get down to business, to defeat – PETA. Nearly a month after its lead left for Mulan training, fantasy romance Records of Nanyan Studio has finally finished filming. Here are the rest of stills released. This still has more story than every other one for the whole series. Liu Yifei is a performer of all types – ballerina, acrobat, singer, and guitar player – for this photoshoot by Liu Zongyan (who did her awesome modern Wuxia and Mulan-like photoshoots). She has recently finished filming Nanyan Studio with Jing Boran and has been training in New Zealand for the live-action Mulan (if you don’t read the comments, the male lead has been cast and I’ve given up my last sliver of hope this movie knows what it’s doing). Video here, ignore the subtitles. 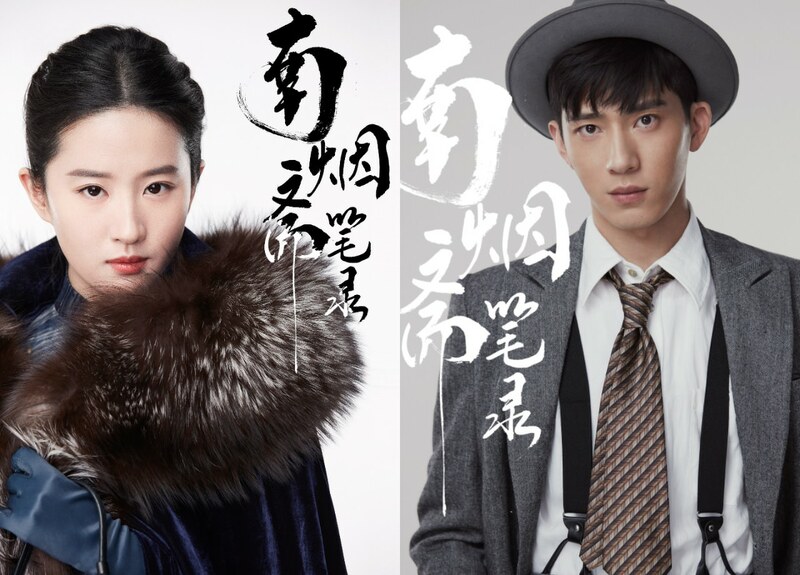 Fantasy romance drama Records of Nanyan Studio (Southern Mist House) stars Liu Yifei (Hanson and the Beast) as Lu Mansheng, a woman who listens to other people’s love stories, and use her scents to give her clients a happy ending in their dreams (aka Republican version of City of Hopeless Love 华胥引). Jing Boran plays her love interest Ye Shen.